I am happy about how we are able to counsel the patient throughout the entire ordeal. Right upto pregnancy. 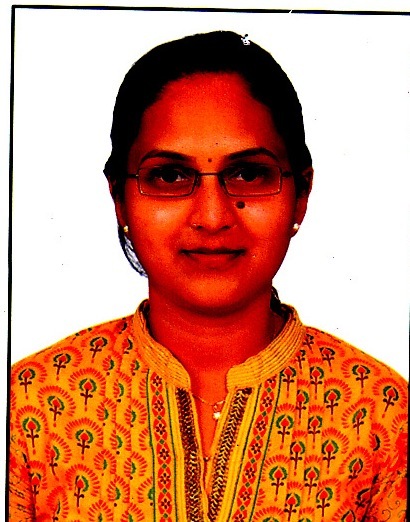 Dr. Viqat Ara AmjadAl-Saha Gynaec CenterFrazer Town, Banglore. I am glad to inform you that Morpheus Meenakshi IVF Centre is doing an extremely good work. The entire team is very co-operative and the feedback is extremely appreciable. The outcome is good and hence I am happy to be associated with this team. My Special word of appreciation to Dr. Rajalakshmi. Skilled, knowledgeable doctor in a clinic well-equipped with and infrastructure that is modern and scientifically advanced. Doctor & team's attitude is reassuring and caring at all phases of this potentially stressful treatment. Healthy environment, comfortable Doctor-patient relationship that’s what is needed for the infertile couple & this what you get at Morpheus IVF. Dr. Neeru Thakral & Morpheus Group is providing best of facilities in IVF at affordable cost for needy couples & results are at par with other establishments. The results of Morpheus Thakral IVF Centre is very good. Dr. Neeru Thakral is very co-operavtive & Skilled. Dr. Neeru has good knowledge of IVF. Atmosphere is very patient friendly, counseling is good and results are too good. I am aware of the great performance at the IVF Morpheus Centers and would love to be associate with them. I am referring my infertility patients at Morpheus IVF center because of caring attitude of doctor and team at all phases of this potentially stressful treatment. I am satisfied with the well-equipped center with a qualify doctor and staff. High Standard of ethics and transparency in services on operations. It is managed by qualified doctors and counsellors with competitive results. I am happy with the working of Morpheus IVF Centre and getting a good feedback of my referred patients. I am happy with its success rate and like it due to its high standards of ethics and transparency in services and operations. Nice services provided by Morpheus IVF center. Very much satisfied by staff co-operation. Result-oriented treatment plans that are individualised and tailor-made to suit every couple. Morpheus provides result oriented treatment plans that are individualized and tailor-made to suit every couple. Morpheus has skilled, knowledgeable Doctor in a clinic & clinic is well equipped with an infrastructure that is modem and scientifically advanced. Their team of consultants, counsellors and other staff is excellent and result are at per with other international ART set up. The doctors and team is true of knowledge. Maintain high standard of ethics & transparency in services. The clinic is also equipped with result oriented treatment plans with high standard of ethics and transparency. I am very much happy with the services given by Morpheus IVF and Dr. Dipen Sir. My patients have been very happy & satisfied too. Dr. Alpa ShahMD. (Gynaec)Mahavir Marg, Anand. I am very happy with services of Morpheus & doctor. Morpheus Infertility Center is doing a good job for infertility patients. The results are very good. They have a success rate 40% as of now. I do highly recommend Morpheus IVF as one stop care and management for couples who avail treatment for reproductive medicine. I have been referring patients from the time they earlier was started in Chennai. I am happy with the success rates and the attitude of the doctor's team. During the camp conducted in our Nursing Home by Morpheus we had good discussion with doctors regarding infertility and IVF.They were dedicated and very patient in explaining. Their charges towards IVF also reasonable and they have a good success rate. Morpheus Fertility centre in functioning with good number of efficient & able personalities. I am referring cases for thepast 5 years. Every patient referred has been explained & treated & also informed me at all times. I always admire the clarity of reports & treatment offered. "I wish this centre to grow like a Banyan Tree." I am satisfied with the services provided by the unit of Morpheus. Patient Follow up is satisfying. Dr. Neeru Thakral has a transparent financial transaction with her patients, Her Highly supportive & friendly approach is most appreciated. Dr. Neeru in very carrying doctor & full of knowledge. Reassuring and caring attitude of the Doctor and team at all phases of this potentially stressful treatment. I am satisfied with the treatment. Morpheus gives me feedback of treatment plans. It welcomes me in the hospital if a patient desires my presence in various procedure. Morpheus gives standard & transparent Pricing Structure & various economical treatment plans to choose form. It is very professionally managed with the most important thing in IVF = RESULTS being excellent. Morpheus has been regularly providing counseling support and also holding camps for infertility patients at our hospital. i am happy with the results. I have been recommending infertility treatment of my patients at Morpheus. I am happy with the success rate & impressed with highly equipped infrastructure with good patient care, counseling and mostly result oriented treatment protocols. I am referring my patients to your centre for IVF. I am happy with the results. I am overjoyed to inform that Dr. Punitha Rajesh and her team makes of Morpheus Sreedevi Fertility Centre are doing a wonderful job and the stake of art of the centre and the team is excellent. I am very proud to be associated with them. My Patients whom I had referred for IVF treatment were very satisfied with the treatment and care given. It's a Pleasure to be appointed with Morpheus as my patients who may need advanced fertility Treatment find the team efficiency, co-operation and the results to the highest level of efficiency. They have very good attitude & result oriented treatment for patients. Dr.(Mrs.) Kirti P. KhewalkarMS, OBGY(Pune), IVF Infertologist, Laparoscopic Surgeon(Germany)Near Reliance Mart, Kharadi, Pune. Good place for IUI and IVF. Dr. Shobha C. AhujaMBBS, DGONehru Memorial Hall. Dr.Ambedkar Road, Pune. Morpheus has skilled, Knowledgeable doctors in their team Infrastructure that is modern and scientifically advanced. Result oriented treatment plan that are individualized and tailor made to suit every couple. The feedback from my patients about the protocol and the care has been very good. 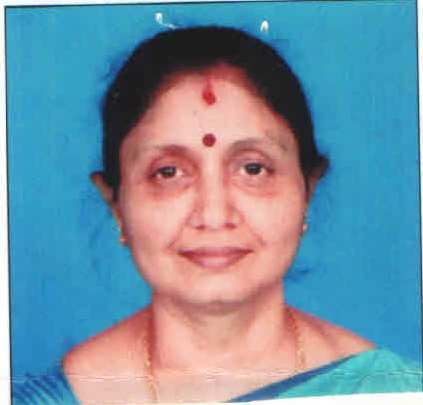 Dr. Padma SrivastavaMD (Ob & Gyn)Wanwarie, Pune. Good results - Good coordination with patients so patients are happy. Dr. A. PallaviMBBS, MS(OBG),Prakasam Road, Vijaywada. Has very good result oriented treatment plans That are individualized and tailor-made to suit every couple. Dr. G.SaradaMBBS, DGO,Naidu Street, Vijaywada. 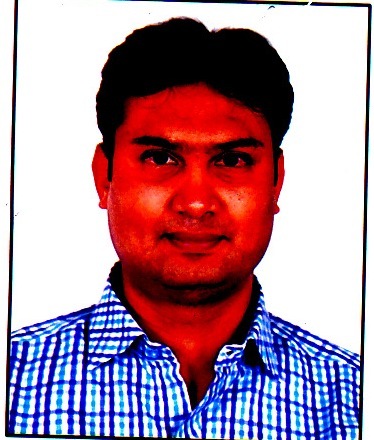 I am pleased with the services being rendered by MORPHEUS SRIRAM INTERNATIONAL IVF CENTREVIJAYWADA. "She is very keen and caring towards the patients through the entire treatment." I am satisfied with your services & package which are provided to the patients & maintain the quality of t treatment. Result oriented treatment plans that are individualized and trailor-made to suit every couple. Result oriented treatment plan that are individualized and tailor-made to suit every couple. I am full y satisfied with the working of Morpheus IVF center, I am happy to say that good number of them get success in their treatment. Dr. Meeta AgarwalParul Hospita, Bhopal. Dr. Maya DodaniIsha Krupa Hospital B D A Colony, Bhopal. Services and operations are in High standards of Ethics and transparency.